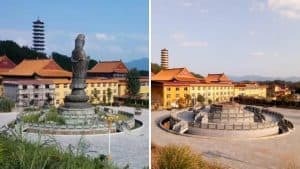 Eight years after local authorities attended the ceremonial unveiling, the same authorities now say the statue of the Daoist holy man is unapproved and must go. 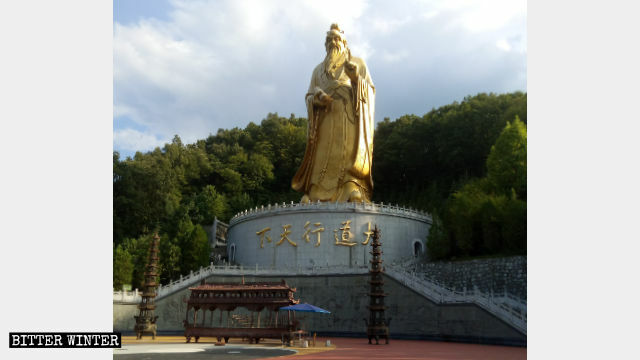 The original appearance of Laozi statue at Laojun Mountain. 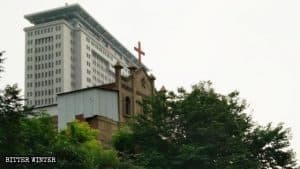 The Chinese Communist Party (CCP) ordered local authorities in Luoyang city, in Henan province in central China, to cover and hide from view the world’s tallest bronze statue of Laozi (also known as Lao-Tzu and Lao Tze) who is considered to be the father of Daoism and a deity in Daoist and traditional Chinese religions. The Laozi statue is completely wrapped in yellow cloth at Laojun Mountain Laozi Culture Garden. The inspectors announced that until the Laozi statue receives approval, it cannot be opened to the public. 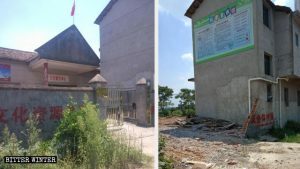 They also ordered the person in charge of the Laojun Mountain Tourism Scenic Area to cover up the Laozi statue, or else it will be demolished. Local believers report that the Laojun Mountain Laozi Culture Garden held an unveiling ceremony for the bronze statue in May 2010. At that official unveiling, authorities from the Henan Provincial Tourism Bureau and the Luoyang municipal government hosted the event. What authorities once seemed to bless, now they threaten to destroy on the grounds that no approval was given. 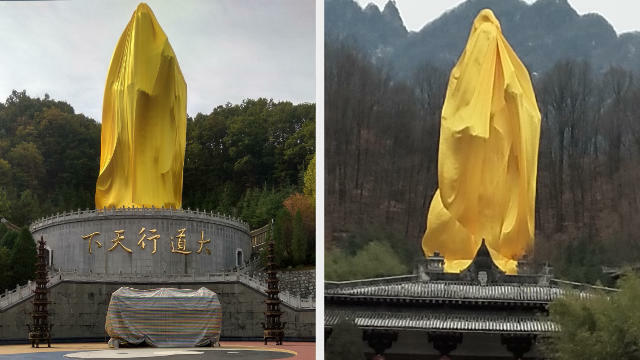 Left without any choice, on October 11, the person in charge of the tourist area covered the Laozi statue with yellow cloth. However, just a few days later, the cloth was blown off by strong winds, exposing the statue again. 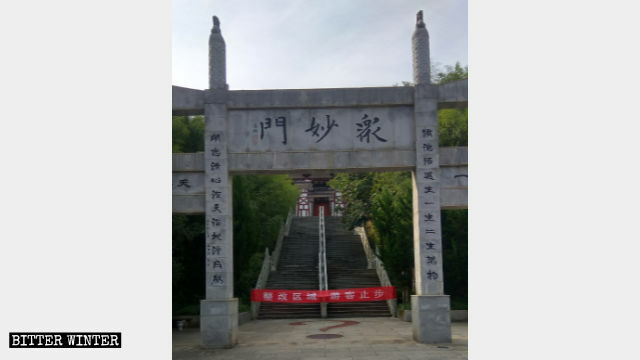 The banner with the words “Rectification Zone, Tourists Prohibited” is hung outside the Gate to Oneness at Laojun Mountain Laozi Culture Garden. 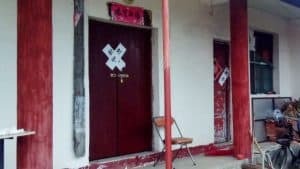 After provincial government officials learned of this, they once again demanded that the statue be covered up, and threatened the Party secretary of Luanchuan county with dismissal if the covering was not done better this time. With this threat, the Party secretary had to act. On December 18, workers used a hot-air balloon to raise the yellow cloth above the statue, while the Party secretary watched. The cloth was lowered over the statue and wrapped tightly, ensuring it could not blow off again. In that way, the world’s tallest bronze statue of Laozi was covered up for a second time. 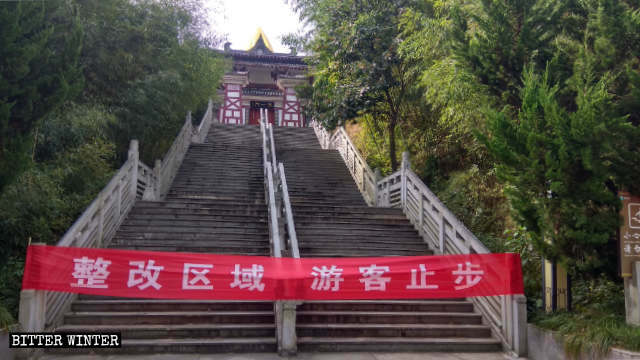 According to sources, before the Laozi statue was sealed off, the person in charge of the Laojun Mountain Tourism Scenic Area was fined nearly five million RMB (roughly $742,000) by the Luanchuan county government and Luoyang city’s UFWD because the statue had not been approved. The Gate to Oneness at Laojun Mountain Laozi Culture Garden has been sealed off. The other buildings at Laojun Mountain Laozi Culture Garden also faced persecution from the state. In early October, when UFWD officials from Luanchuan county arrived to conduct an inspection, they saw incense sticks planted in the incense burner inside the culture garden. 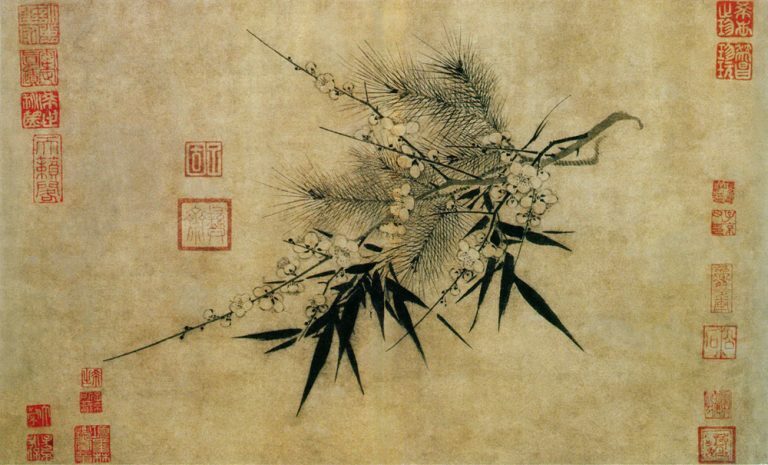 Inspectors immediately ordered that the burning of incense be prohibited. The officials also demanded that all the entrances to the culture garden be sealed off. 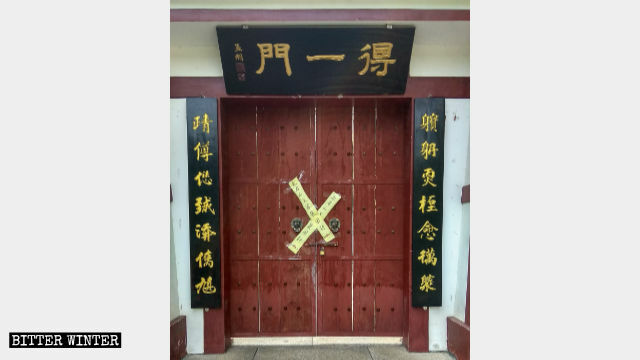 The person in charge was forced to use a banner and barricade tape to seal off the “Gate of All Marvels” and the “Gate to Oneness” of Laojun Mountain Laozi Culture Garden. The phrase “Rectification Zone, Tourists Prohibited” was written in large Chinese characters on the banner. The Gate of All Marvels at Laojun Mountain Laozi Culture Garden has been sealed off. 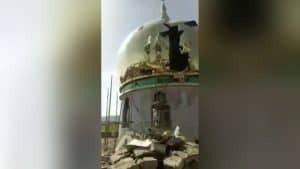 Bitter Winter previously reported that in October, a Laozi statue in Xingyang city of Henan Province was demolished by the authorities on the grounds that it was an “illegal construction.” These three incidents, in close proximity to each other, strongly suggest discrimination against the Daoist faith.